Since its very inception, Facebook has constantly added quite lavish and innovative features to escalate the user experience to greater heights. From time to time, it keeps adding new features and facilities, and it is one of the salient reasons that the popularity of Facebook has enhanced unabated. 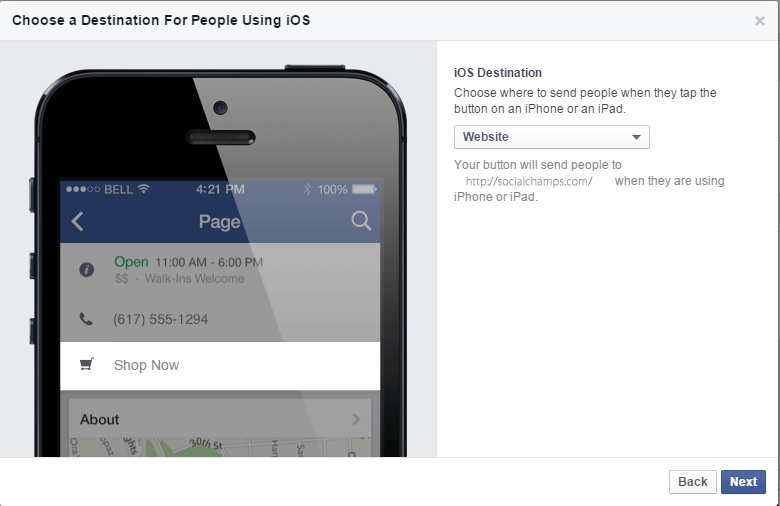 Recently, something that dazzled the world of social media is the launch of the call-to-action buttons on its pages. The roll out of it has already started and it will continue in the forthcoming weeks. Currently, Facebook has kept it limited to the USA; however, it has its plan to cover the entire world in the coming year. Truly speaking, this is not the maiden feature of Facebook. In fact, the Developers already had the access to this feature earlier. While building the applications for the platform, the Developers could include the “call-to-action” buttons which gave the marketers an opportunity to purchase the ads with the features of “call-to action” button. This time, the number of the call-to-action buttons has gone up to seven, including Book Now, Contact Us, Use App, Play Game, Shop Now, Sign up, and Watch Video. 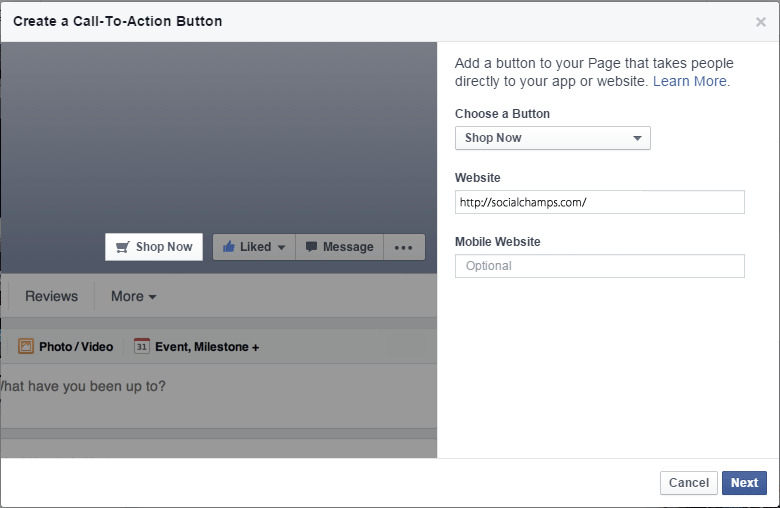 These call-to-action buttons are certainly not new to the web world; however, they are certainly new to the Facebook pages. For both the businesses and the customers, these buttons are believed to become quite beneficial. 1. Choose the desired call to action button. 3. Choose where you would like to send people. The introduction of the call-to-action buttons has yielded quite satisfactory results in the past, and this inclusion of seven varying call-to-action buttons have further enticed the enthusiasm of the businesses as well as the individuals having their presence on the Facebook. The hope is there that these call-to-action buttons will be very much helpful to the Pages to drive the Business Objectives. These buttons are believed to have the ability to take the users not only to the destinations that are on the Facebook pages, but also to the destinations that lie outside it. 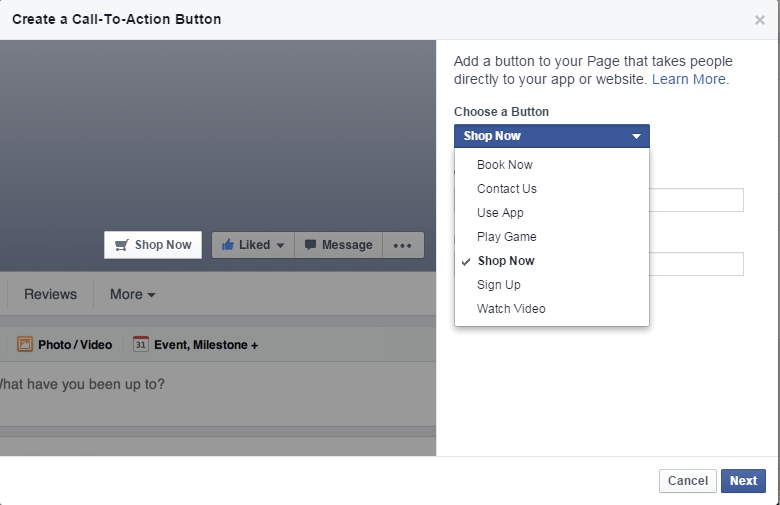 Briefly speaking, these call-to-action buttons will make the Facebook a better and improved platform where the businesses and the customers can meet and satiate their mutual wants and desires. The three week trial of Sign Up button by Dollar Shave Club shows 2.5 times higher conversion rate than that of the other comparable social placements. Also, the assurance has came from the Facebook sources that the call-to-action buttons will be tracked for all sorts of malicious activities on the line of the tracking of other Facebook features. Try this new feature which will surely escalate and enrich the experience of using the Facebook. 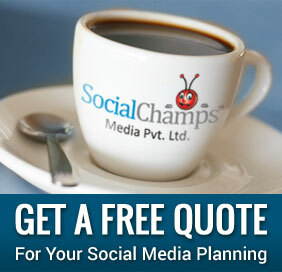 Do share your comments with us.